PC/Computer Problems, Solutions & PC Guide - PC Buyer Beware! PC Buyer Beware! is a comprehensive PC/computer guide with computer problems and solutions covering desktop, laptop/notebook and tablet PCs. Information is available on this website of the kind required to enable computer users to solve hardware and software computer problems, buy, build, upgrade, network, use broadband Internet, recover, repair and protect their computers successfully. 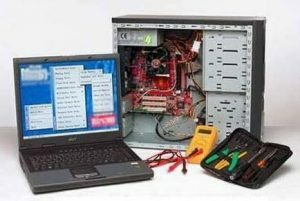 Hardware and software computer problems are solved in articles and questions and solutions, grouped in categories, the parent category of which is on the main menu at the top of each page – PC Problems & Solutions. The quickest way to find the solutions to particular computer problems is to enter a short and accurate description of the problem in the Search box at the top right-hand corner of every page of this site. A list of site pages and blog posts containing your keywords is presented. Examples of general searches are internet problems, hard disk drive problems, laptop problems, networking problems, etc. The more refined a search is, the more likely it is to deliver a solution to a problem. Examples of more specific searches are no Wi-Fi connection to router, pc crashes, pc freezes, computer reboots, blue screen of death, Windows Update runs endlessly, etc., all of them very common problems. All of the major internal PC/computer components, such as hard disk and SSD drives, graphics cards, processors, motherboards, sound cards, RAM memory, etc., and the external peripheral components, such as monitors, networking equipment, keyboard & mice and printers, have their own section devoted to them under Hardware on the menu at the top of each page. There are so many categories of hardware that they can’t all be shown on a single screen in the drop-down menu, so, please scroll down to see all of them. Separate sections are devoted to topics such as software, Windows 10 / 8.1 / 7 / XP, and PC security. The Build Your Own PC section provides information on the installation of computer hardware (motherboard, processor, graphics card, hard disk or SSD drive, etc.) and the installation of Windows. For upgrade information visit the Upgrade PC/Computer Hardware, Windows & Software section of this website. The Software menu item at the top of each page is broken down into the following categories: General Software Information, Backups, Systems Images and Cloud Storage, The UEFI and Standard System BIOS, Product Activation and The Device Manager. While every effort has been taken to ensure the accuracy of the information on this website, the author assumes no responsibility for errors or omissions, or for damages resulting from the use of the information herein. POST – Why should you use DuckDuckGo search for web-searches instead of Google? POST – Problem – Upgrade Win7 PC: My Win7 computer running Windows 7 has become very slow. Should I upgrade it to Win10 or build or buy a new one? POST – Motherboard problem: Can I replace the motherboard of my PC without having to reinstall Windows 7? Note that extended security support for Windows XP from Microsoft ended on April 8, 2014. There is nothing to stop anyone from continuing to use Windows XP, which, in June 2017, still ran about 4.0% of all desktop and laptop computers used to access the web (3.2% by February 2018). See the chart below of the operating systems used to access the web in February 2018. Due to their relatively low user bases, Windows XP and Windows 8.1 are now much less likely targets of cyber criminals than Windows 7 and Windows 10. Moreover, those user bases are decreasing constantly, making it less and less attractive to those parasites. Windows 7 and Windows 10 are the dominant versions of Windows, as can be seen in the chart below. The official release date of Windows 10 was July 29, 2015. By June 2017, Windows 10 was running an estimated 30.87% of all desktop and laptop computers (43.53% in February 2018). The data does not include devices that use the mobile Android operating system, no doubt because the use of Android is almost entirely on tablets and phones. Android is an open-source development of Linux by Google. Microsoft will be ending extended security support for Windows 7 SP1 on January 14, 2020. Visit the following Wikipedia page for up-to-date information on the usage share of all of the operating systems in use on desktop, laptop, tablet PCs and smartphones.